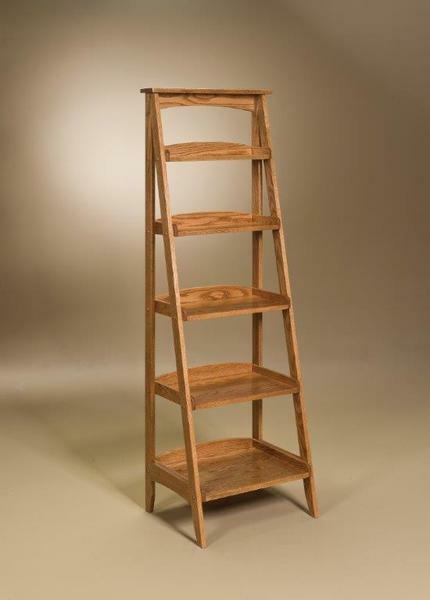 This amazing Amish Ladder Shelf is a fantastically stylish way to store your books, art, linens, towels or collectibles. This is sure to be a bookcase that you love and appreciate for generations. Because this bookshelf is coming from DutchCrafters, you can rely on quality craftsmanship, premiere hard wood products and heirloom-quality woodworking that will withstand generations of use. Call our furniture experts today to have all of your questions answered and to explore more options. Please note this is not intended to be used as a ladder but a bookshelf. It is a bookshelf with the look of a ladder.